Remember Oregon Trail? Of course you do. You had a childhood. 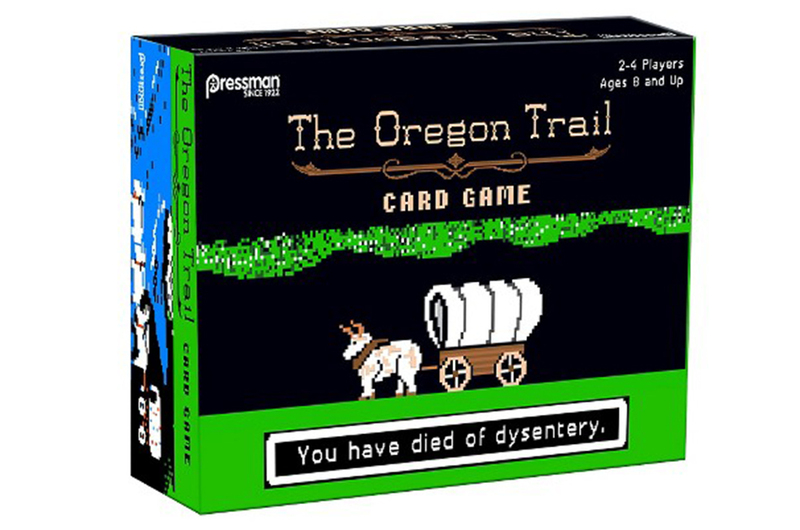 Now Target is selling an Oregon Trail Card Game for $12. It’s the game we all know and love, but in the flesh. If flesh was laminated card stock. Point is: no technology required! Which makes sense, because there’s no computers in the 1800s. Unless you’re a time traveller in which case: omg please tell me everything start at the beginning. Jenga: Fun For The Whole Family, Including Kitty!